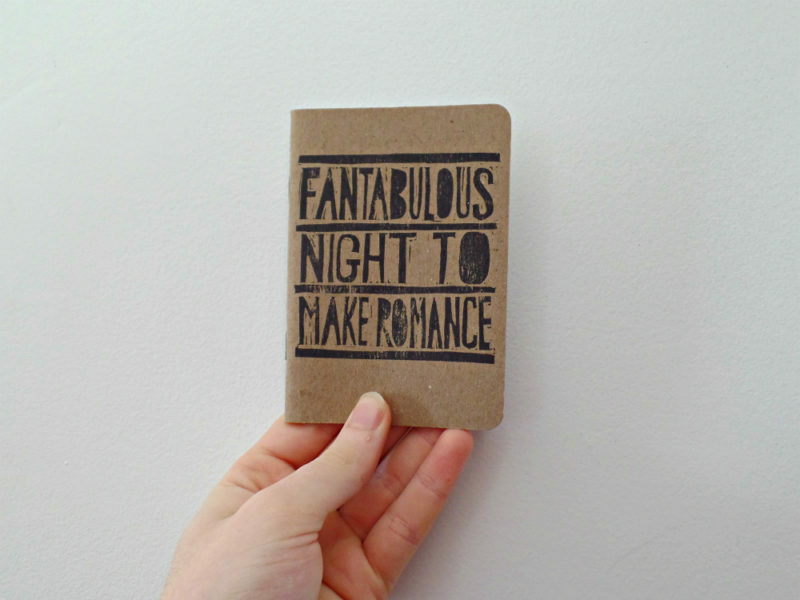 This Fantabulous night to make romance notebook would make a sweet gift! 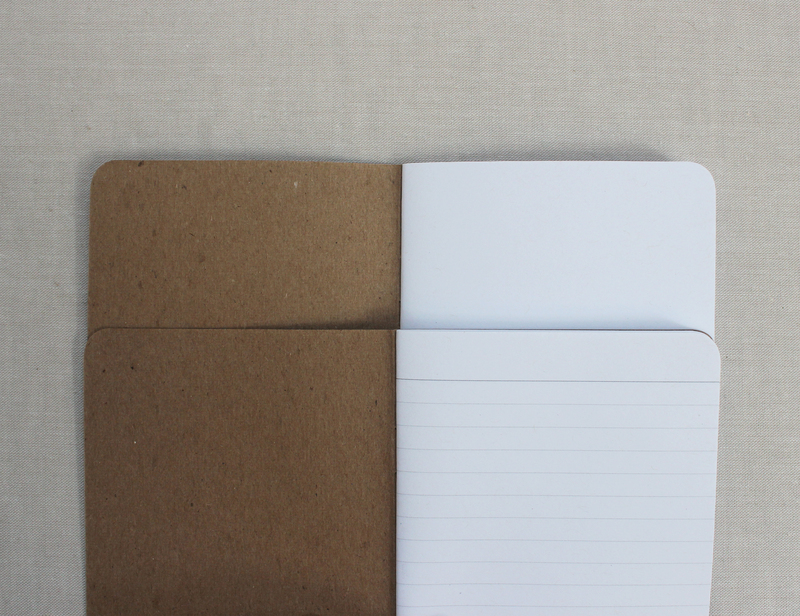 Fill it up with all your plans for future adventures together and maybe write a few little R rated love notes. 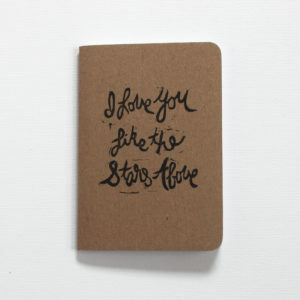 Present it to your love – they will be so touched by all the thought you put into this! 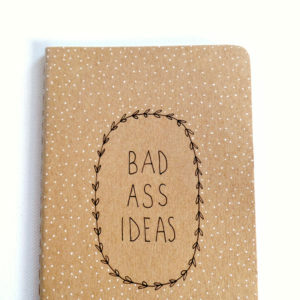 It would also make a unique wedding vow journal. 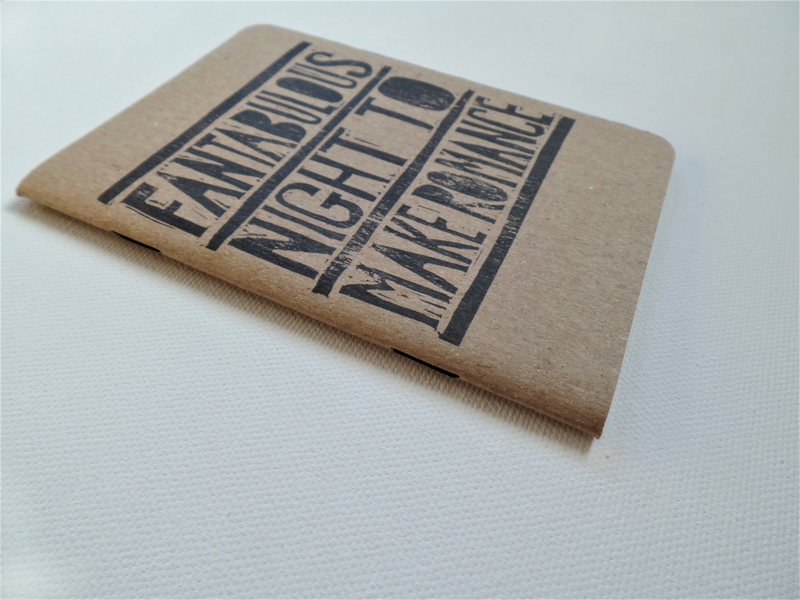 This Fantabulous night to make romance notebook is the perfect size to slip into your pocket or hold in your hand as you walk down the aisle. 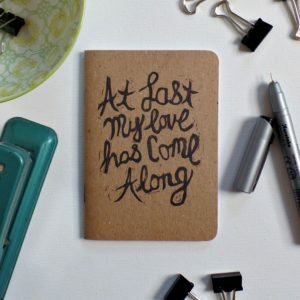 Then you can focus on your day – no need to worry about forgetting your heartfelt words in front of family and friends! 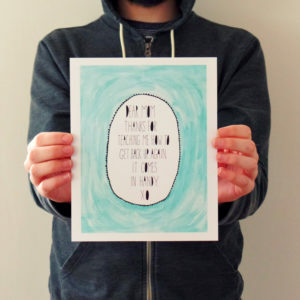 Then save it as a keepsake of your wedding day. 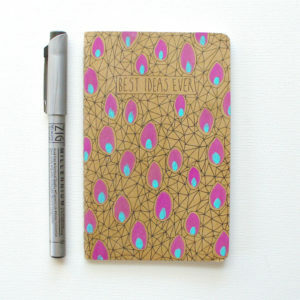 This small notebook, made from 100% recycled materials, is hand printed with a stamp that was designed and hand carved by me in my perfectly imperfect style. 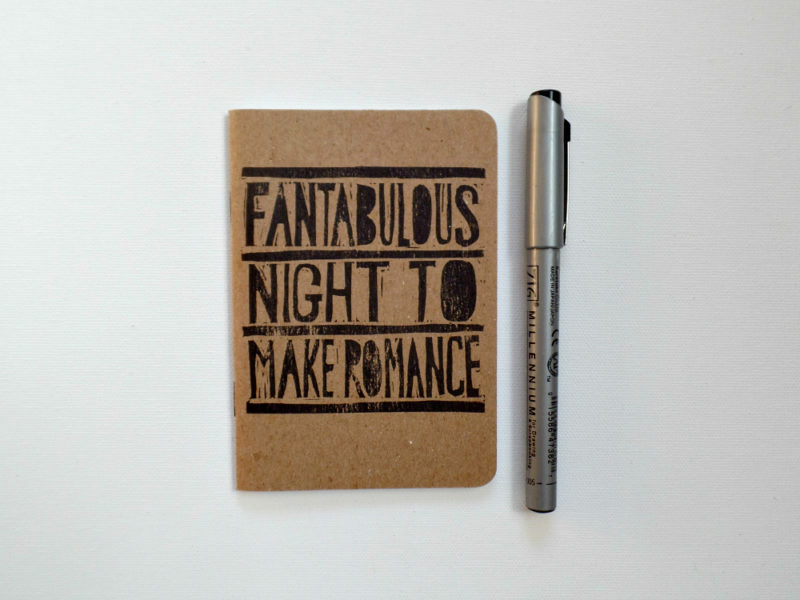 The song lyric – Fantabulous night to make romance – is printed in black archival ink. The kraft cover is made of chip board. 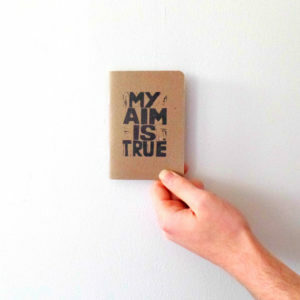 Inside there are 32 blank pages to allow for your maximum creativity – fill it with anything from stick figure drawings to gluing in old photos or your movie ticket stubs from your first date. 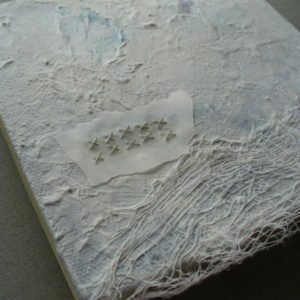 Use your limitless creativity! 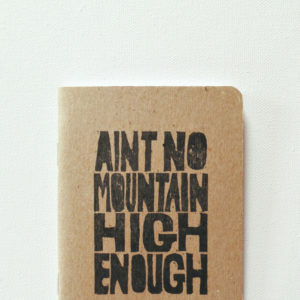 Each and every notebook is hand printed so yours will be similar but uniquely awesome!